You may think you know everything there is to know about God’s own county. 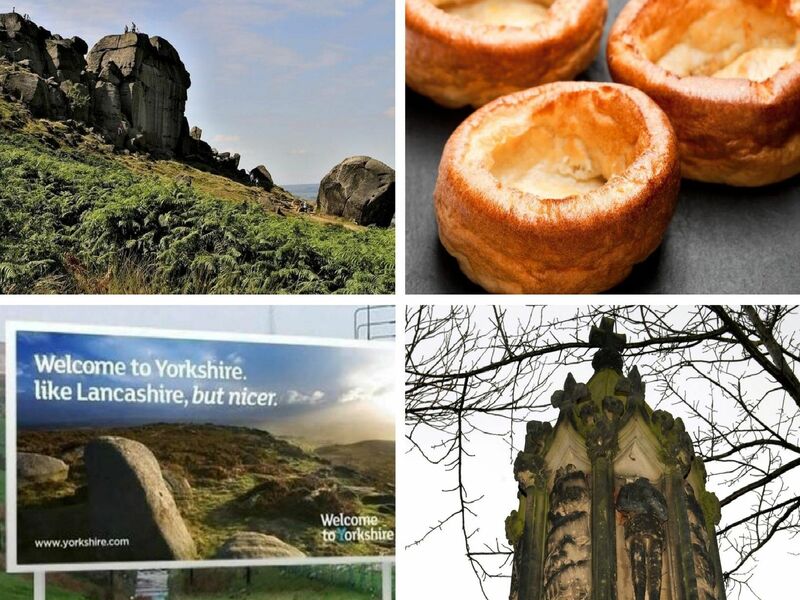 Here, we answer ten of the most commonly-asked questions about Yorkshire. 1. Why the White Rose? Historians surmise that the white rose became the symbol of the House of York as far back as the 14th century. 'Edmund of Langley, the houses founder, chose it because in Christian liturgical symbolism, white is the symbol of light, symbolising innocence and purity, joy and glory. Fitting. 2. What does On Ilkley Moor Bahtat actually mean? The recurring chorus of our unofficial national anthem means on Ilkley Moor without a hat. 'The song tells of a lover courting the object of his affections, Mary Jane, while the singers warn him that heading up to the moor without a flat cap will result in his death, then his burial, the eating of his corpse by worms, the eating of the worms by ducks and then finally the eating of the ducks by the singers. 3. Who won the War of the Roses? Well, it was pretty much a draw bizarrely, although most Lankys will claim victory. 'Henry VII defeated our man King Richard III at the Battle of Bosworth in 1485, but the truth is that we were reforming at a rate of knots, and a hastily arranged marriage between Henry VII and Elizabeth of York was forged to reconcile the two houses. 4. Is there an enormous nuclear bunker beneath Millennium Square? Unfortunately not. Leeds Millennium Square does have a number of rooms, corridors and holding spaces dug deep beneath the surface, but these are for events held at the venue, and are not a recommended nuclear safety point.